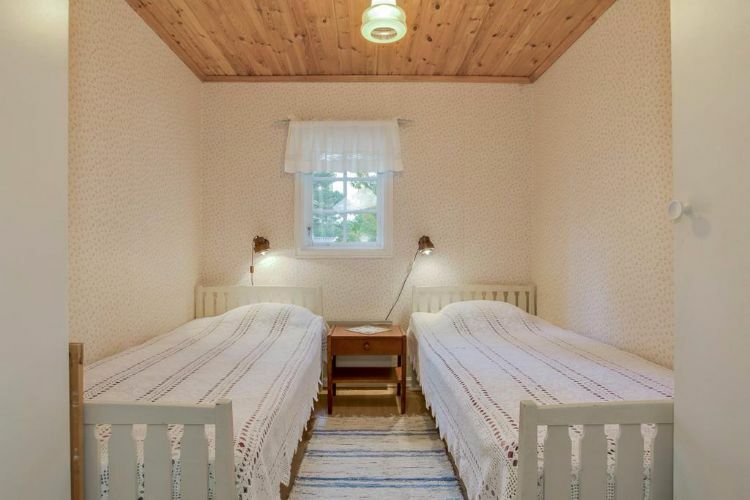 While we love the way America approaches log cabins, sometimes it is interesting to look to other parts of the world to see how different countries interpret the rustic, back-to-basics lifestyle. 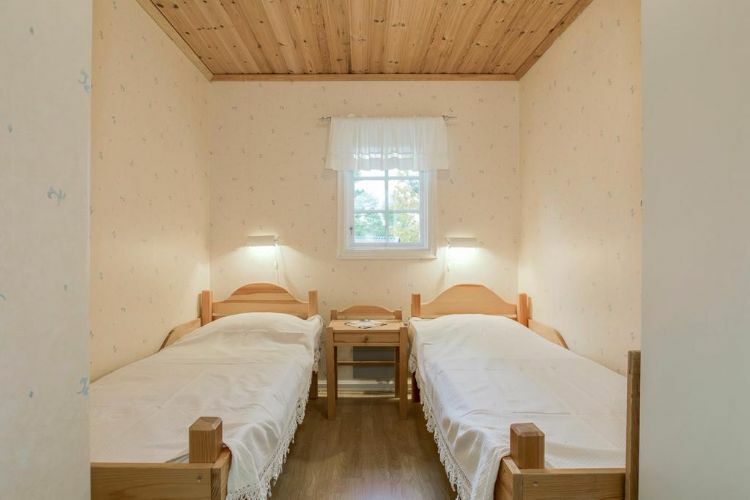 Sweden has a longstanding tradition with log cabins. 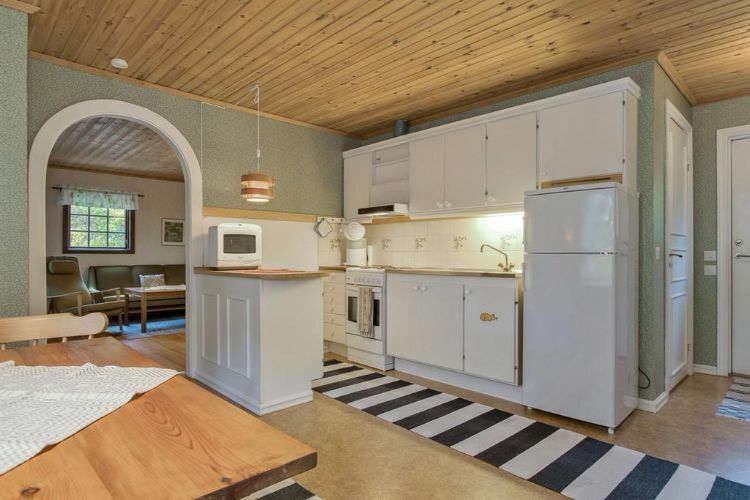 It is not uncommon for Swedes to have a summer house in the rural areas of the country, giving them their own retreats from the city. 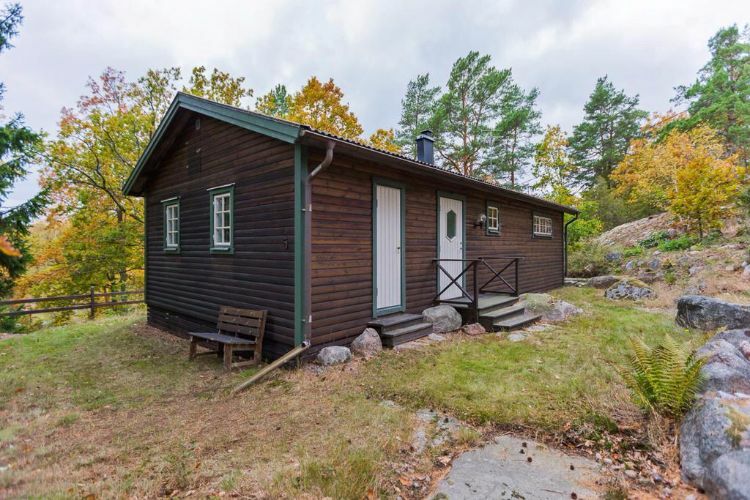 This delightful log cabin is located in Äskestock — 180 miles (290 kilometers) south of Stockholm — and looks like a different world compared to Sweden's sophisticated capital city. 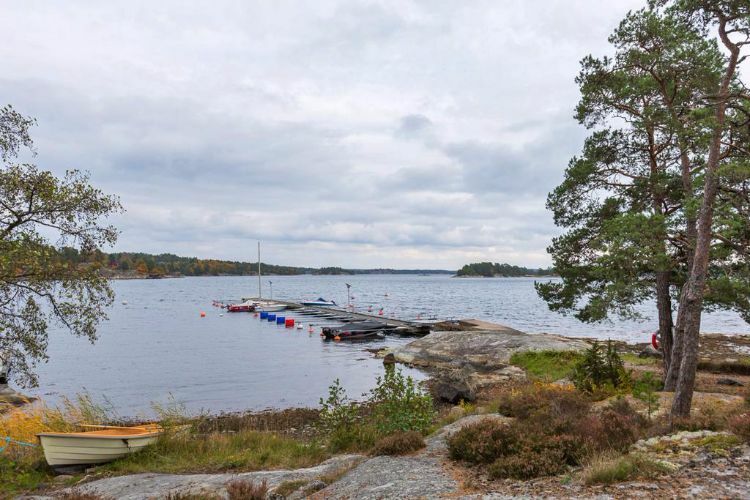 The cabin sits in an abundant forest area, with access to an archipelago of over 5,000 islands. 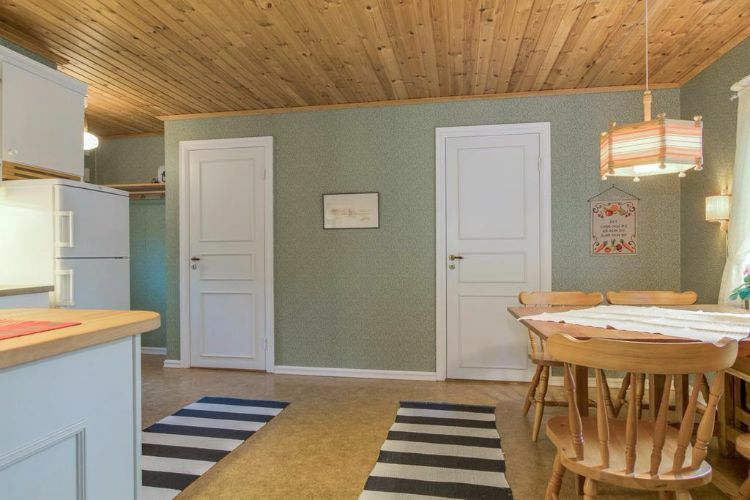 Listed for sale on Svensk Fastighetsförmedling, the cabin has 592 square feet (55 square meters) of living space and includes two separate bedrooms. 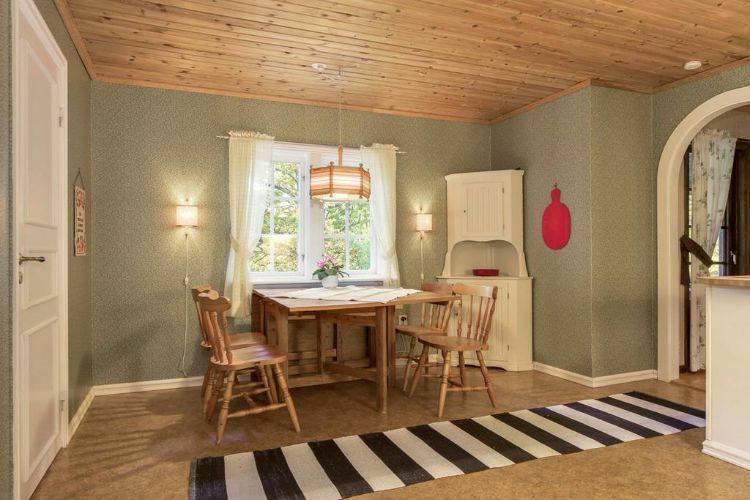 Shall we take a look inside to see how the Swedes like their rustic getaways? 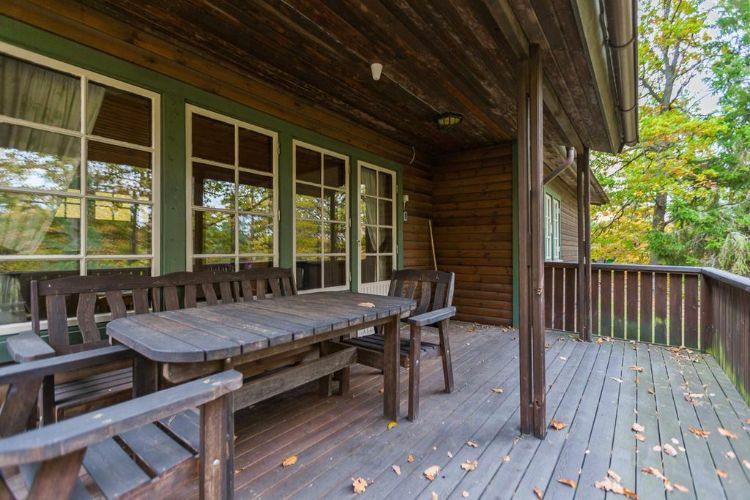 The ample-sized cabin has an attractive dark stain on the exterior paneling. 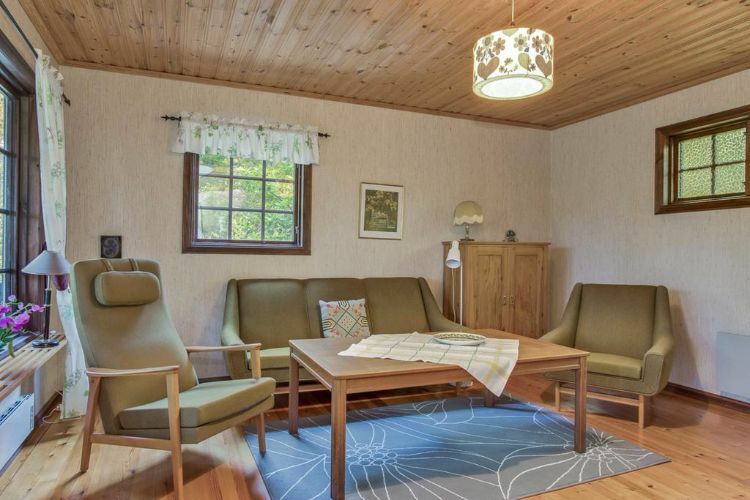 It is an unassuming summer house with none of the pretensions of a large, palatial log home. The living room is finished with hardwood floors and a wood-paneled ceiling. 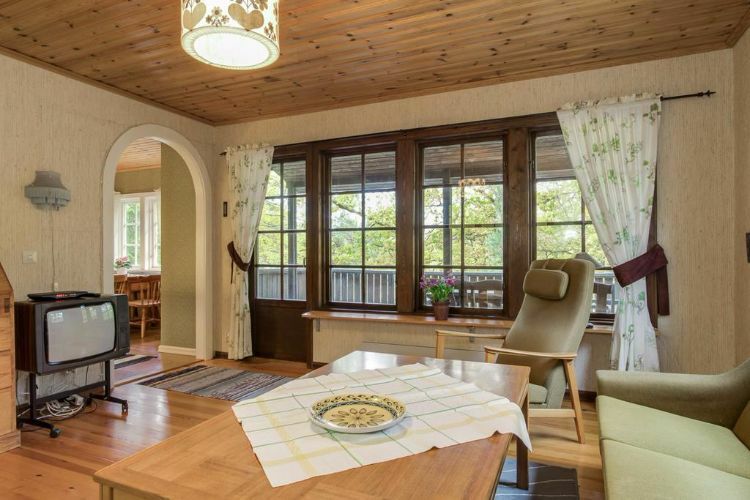 The large windows allow plenty of light into the cabin, while the white walls ensure it is reflected all around the home. 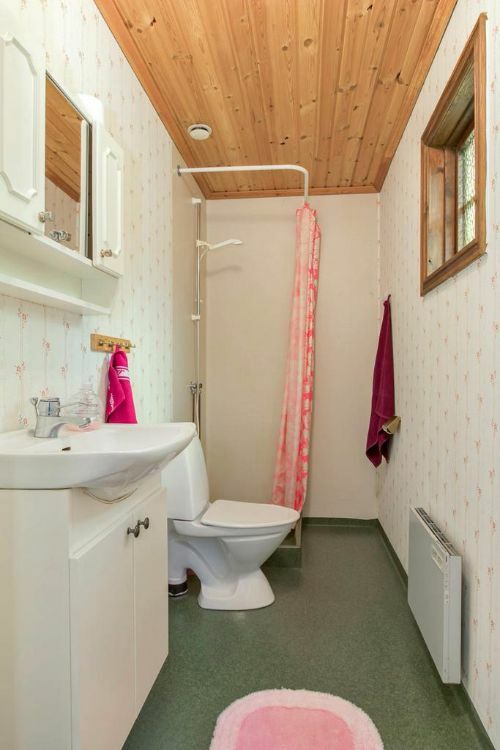 The cabin even includes a boat-docking space, giving the owners the opportunity to explore the remote beaches around the peninsula. 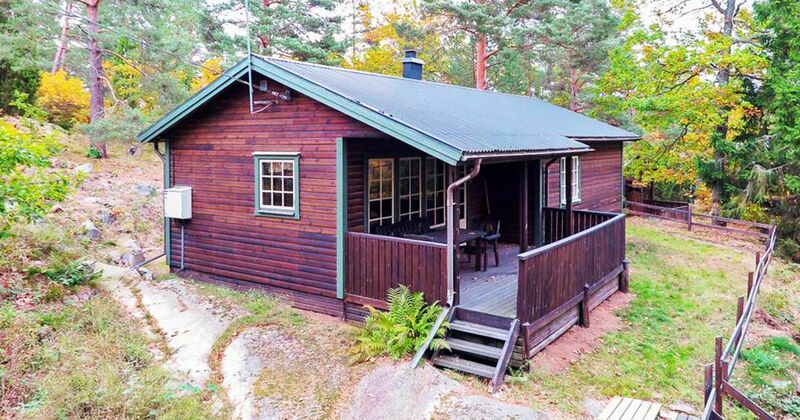 Do you like this Swedish log cabin? Let us know! 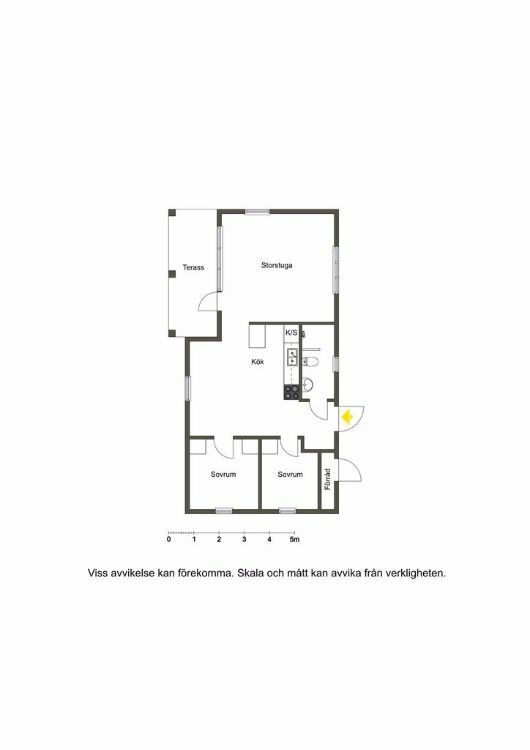 Comment on Facebook and then SHARE the tour with your friends.